At the McDonald’s restaurant in Frattocchie, Italy, patrons can enjoy fast food with a side of history. While digging for the building’s foundation in 2014, workers unearthed a swath of Roman road—and McDonald’s agreed to sponsor its excavation. The fast food chain partnered with archaeological authorities to incorporate the ancient thoroughfare into the restaurant’s design; earlier this week, The New York Times reports, the site opened to the public. The stone street is protected in an underground gallery beneath the McDonald’s, located south of Rome. The gallery has a glass roof, so visitors can see the site from inside the restaurant. (There’s also a separate entrance, accessible from the parking lot, so non-customers can view the road up close.) As for the road itself, it stretches for about 150 feet, and was constructed between the second and first centuries BCE. 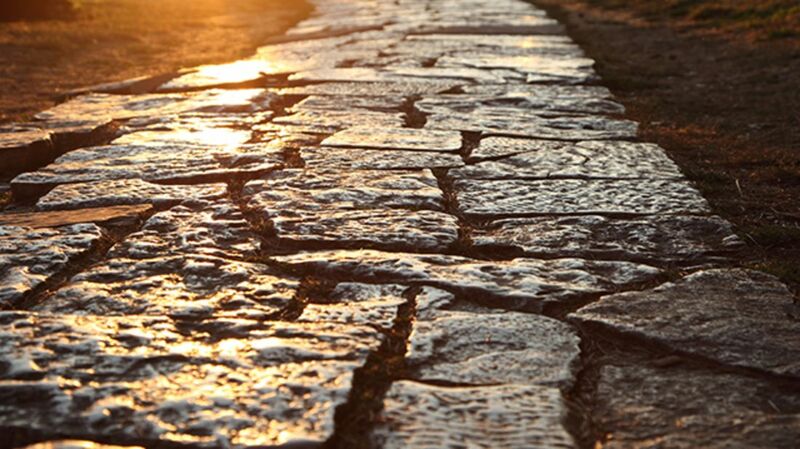 It likely connected a villa or important estate to the Appian Way, the famous ancient highway that once connected southeastern Italy and Rome.